I recently held a ‘Kantha Slow Stitch’ workshop at the Herbert Art Gallery, Coventry as part of the Crafts from the Punjab exhibition. 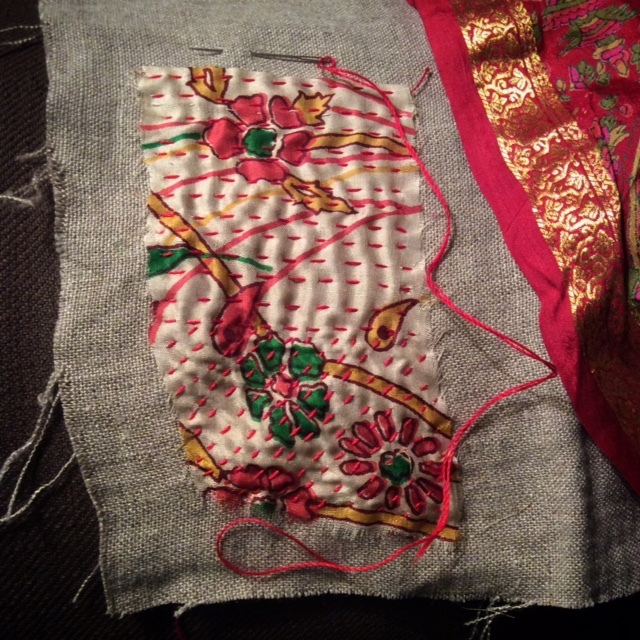 The session was an opportunity for people to drop by and pick up a needle and learn Kantha stitching. The session was extended and for 4 hours and over 25 participants spent time making and socialising whilst I served tea and spent time explaining about the ‘slow’ movement and taking time for contemplation and well-being. I am available for textile talks and workshops from May 2018.